My pair of 3 year olds are very excited about the festive season this year, they’ve written letters to Father Christmas and assured him that they have been impeccably behaved.. So, here’s some of my picks for the 3 year old in your life. This fire engine play house is a dream come true for all aspiring firefighters. Perfect for encouraging imaginative role play, this sturdy play house can be used indoors or in the garden in summer. It’s big enough to fit a mini fire fighting crew in (well, my two fit in happily) for hours of fun. What excitement this would cause on Christmas morning.. The playhouse costs £149 (or you can win one by entering the competition below!). An absolutely brilliant little gift for kids (and it will please adults too as it’s all kept neatly in it’s own box!). Really clever design that children will love to discover inside the perfectly sized tin. A brilliant stocking filler for a 3 year old plus. £15.00. This is one of the most lovely alternative kids gifts we’ve seen this year. You buy a subscription and each month they will personally pick a book that they think suits that child. (We received a copy of the gorgeous Sidney and Stella, a tale about twins who do not share!) What an absolutely treat for children to receive a beautifully wrapped and chosen book through the post each month. 3 Months cost £29.99. Playmobil is much loved by kids from 4 upwards, so if you’re buying for a toddler who will turn 4 in the coming year, these little sets make a great introduction to the world of Playmobil. Perfect stocking fillers at £3.99 each. Each comes with it’s own accessories to encourage imaginative play with the figures. If you haven’t heard of YumBoxes, where have you been all year?! They are how all of the cool kids eat their lunch. They include compartments, in the right portion sizes, for each section of your lunch. They seal perfectly to prevent spills and are available in a huge range of colours. G&H are totally besotted by their new glow in the dark star topped YumBoxes. This would make a really unique and useful gift for the 3 year old in your life. £24.95. If you know a Fireman Sam fan, this is a winner. As it’s a little bit more unusual in the array of Fireman Sam Toy vehicles, this is hopefully one they don’t already own. Great value at £7.99. A great stocking filler for any kids who hate having their knotty hair brushed (like mine!) Perfect child sized and gentle on every strand. £9.99. This is a brilliant alternative gift for kids, something to use their energy and teach them to use their bodies through fun stories and play. A great introduction for little ones of yogi mummas. Watch the YouTube channel here: Cosmic Kids Yoga to get a taste and buy the DVD for £12.00. This fun little lamp is great for small hands to pop on their beside table. It stays lit for 5 minutes to give just enough light before sleepy time. It comes in lots of character shapes and costs £14.99. A brilliant alternative gift for little ones, who often receive so many toys, is to give them an experience. Theatre tickets are a fab idea, we’re off to watch “We’re Going on a Bear Hunt” at Birmingham Town Hall over the festive period and what a lovely Christmas gift that would make! Tuesday 22nd December until Wednesday 13th January 2016. Tickets from £12 (plus booking fee). 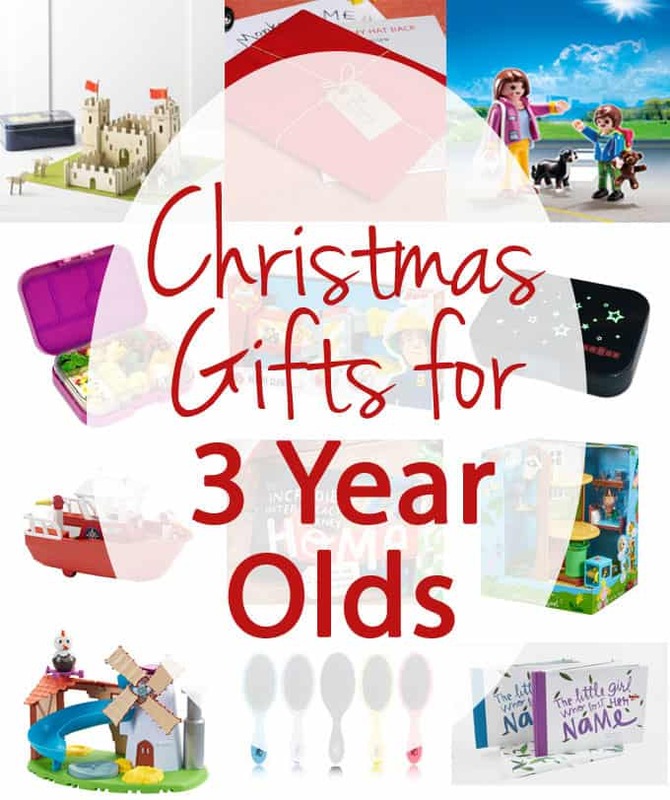 Aldi have some great last minute kids gifts on sale from Thursday 17th December. For little ones, we love the Flashing Bath Ducks (£3.99), Ultimate Sticker Books (£2.99) and Character Torch Nightlights (£15.99). Disclosure: I was kindly sent some of the products in this guide, free of charge, to test out and some are what I’ve been buying myself. Products provided free of charge have in no way influenced their inclusion. This competition is featured on The Prize Finder. I wanted to be a history teacher. Turned out to be a Chemistry one! A doctor. 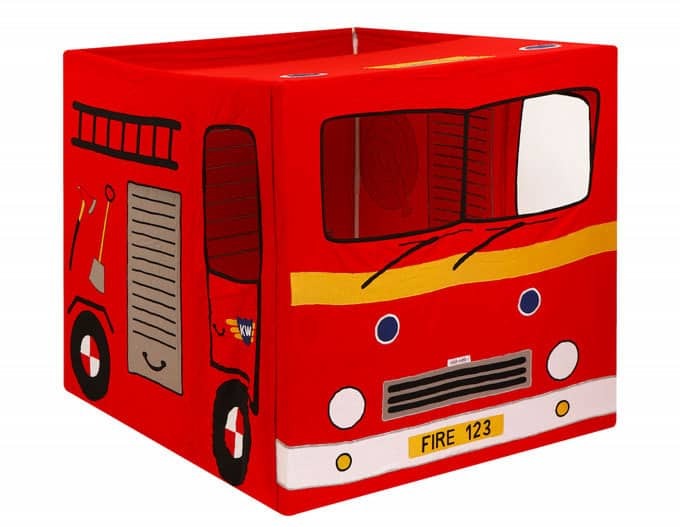 This little playhouse is so cute and perfect for my 3 year old nephew who loves Fireman Sam. I wish I’d seen your gifts for 3 year olds post before I bought one of his gifts last night. I was really struggling to find something he would enjoy in my price range. I wanted to become a primary school teacher and that is what I became! This has made me chuckle a lot Lindsey as I LOVED that film! I always wanted to be a vet and a writer! I always wanted to be an air hostess,I wouldn’t want to be now! I used to think being a cameraman would be cool. A formula one race car driver lol! Long distance lorry driver like Clara in Pigeon Street! I wanted to be a hair and make up professional and work on the movies!! I wanted to be a vet, I still think I’d like that much better than what I currently do! A vet. Although I now realise that being around sick animals all day would be quite depressing for an animal lover. I wanted to be a teacher when I was little. I was adamant that I was going to be a doctor! Pilot, so I could travel the world. A Stuntwoman, always liked the danger factor. I wanted to be a zoologist! I wanted to be A Staff Nurse. I wanted to be a marine biologist. It turned out to be quite a difficult subject so I changed my path, but still work in wildlife conservation! i wanted to a fireman or a pilot but later found out I had no chance due to my poor eyesight!! A midwife, and that’s what I became! A Librarian, just wanted to play with the stamp! I wanted to be a chiropodist, but because I was only young I couldn’t say it properly. So, after watching repeats of ‘Birds of a Feather’, I announced to my family that I wanted to be a ‘Theodopolopodus’ (The surname of the character off the programme Birds of a Feather). 2 decades have past and I’m still reminded by them what I said! Haha! This has made me chuckle a lot, bless you! I never ever knew what I wanted to be! I wanted to be a continental bus driver. A police officer – ended up being I.T geek! A librarian! I loved reading and still do and thought I could be around books all day. I really wanted to be a vet but when I got a bit older I realized that no matter how much I wanted to help animals it would be too hard for me to see them in pain all the time and have to put any to sleep. I always wanted to be an archaeologist. I love history and have always been facinated by it. I wanted to be a vet and was terribly disappointed when it finally dawned on me that I wasn’t clever enough. A policewoman, The closest I’ve ever got is fancy dress! I used to dream of becoming a writer and secretly still harbour this desire! I am happy to say I have the wonderful job of being a mum to two amazing boys and they keep me busy enough, but who knows one day I may sharpen my pencils and fulfil my dream! I wanted to be a wrestler believe it or not, ha ha! I was completely adamant that I wanted to be a journalist, travelling war-torn countries and reporting “real” stories. Either wanted to work with horses (feet can’t cope with it, but did have my own for 10 years and still ride) or a rockstar lol (erm can’t sing, so have to put up with seeing my favourites live instead). Bizarrely I wanted to be prime minister! I wanted to be an author like Roald Dahl! I wanted to be a veterinarian, but my little one I think would love to be a fireman. He’s fire engine obsessed and all of us spent most of Christmas being dressed up in his fireman hat and goggles. a preschool worker and part time singer lol i cant sing for the life of me!! I wanted to be a nurse ? I wanted to be a Doctor ! I always wanted to be a teacher so I could tell the kids off! Dolphin trainer – which was weird as I hated water and could not swim!